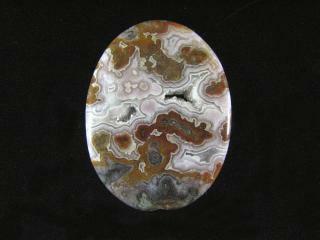 This Imperial Jasper Designer Cabochon was found in Mexico. 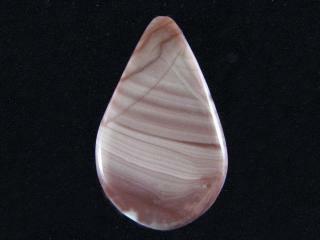 It is a nice mauve color with soft stripes. Measurements are 5 x 24 x 40 mm. This Imperial Jasper Designer Cabochon from Mexico features calming cocoa and periwinkle colors. 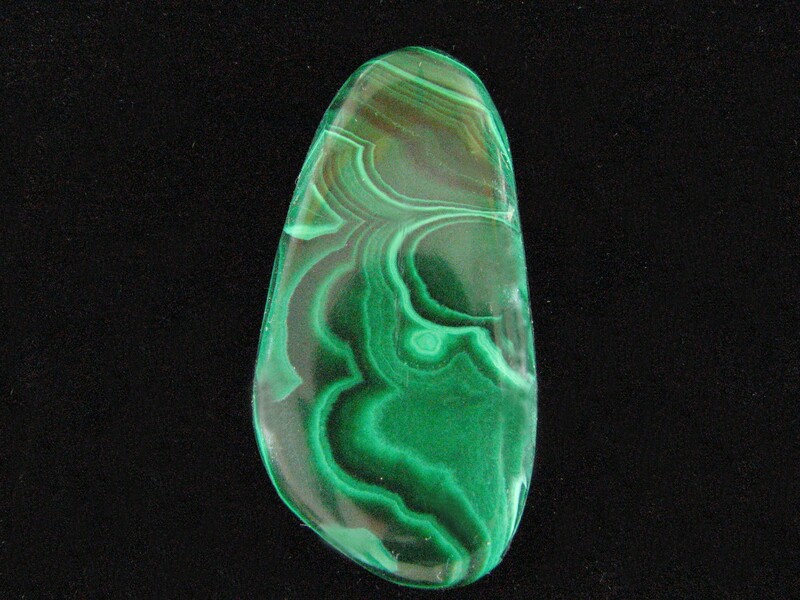 It would make a nice necklace. Measurements are 6 x 25 x 37 mm. This beautiful Laguna Agate Designer Cabochon from Mexico has sparkling crystal cutouts. Measurements are 4 x 29 x 39 mm. 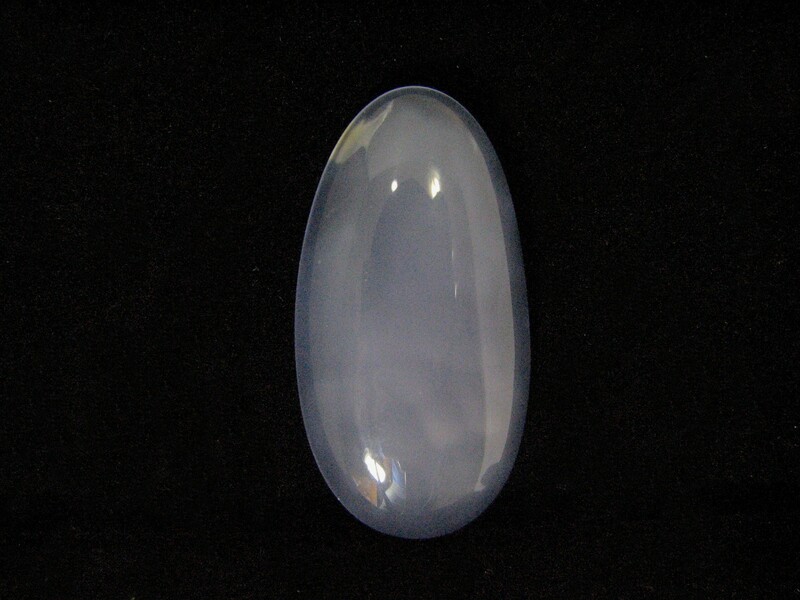 This beautiful translucent Lavender Chalcedony Designer Cabochon is from Indonesia. 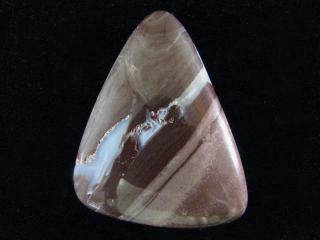 It’s a quality piece for any pendant. Measurements are 7 x 18 x 35 mm. This dark Llanite Designer Cabochon has hidden flecks of blue quartz, making it a subtle, yet attractive piece. It can only be found in Llano, TX. Measurements are 7 x 23 x 47 mm. Found in the Congo, this Malachite Designer Cabochon is bold and vibrant. Measurements are 4 x 19 x 44 mm. 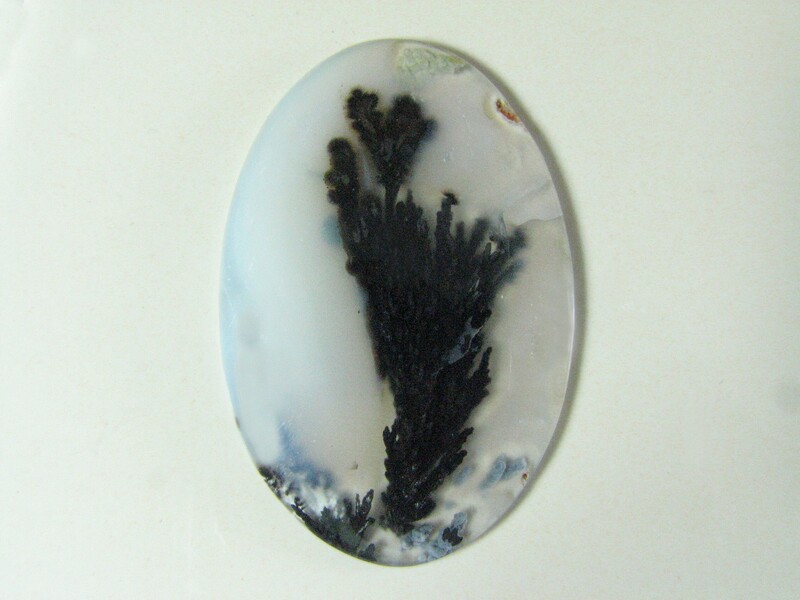 This elegant Marfa Black Plume Agate Designer Cabochon has an impressive black plume in the middle of it. 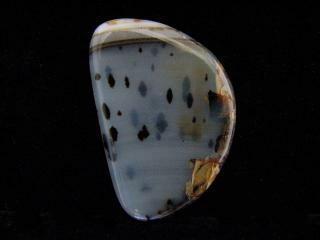 Found in Marfa, TX, this cab measures 4 x 30 x 47 mm. 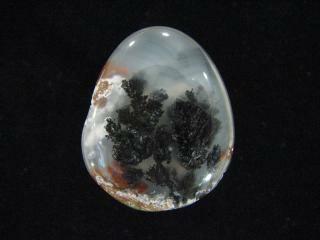 Found in Marfa, TX, this Marfa Black Plume Agate Designer Cabochon has nice plumes and sparkle. Measurements are 5 x 24 x 29 mm. These are pendant and earring(+/-) Marfa Plume Agate Designer Cabochon Sets. The price is per set. Please click “CONTACT US” and send an email if you need the exact dimensions or a more detailed description of the set you like. After completing your purchase, please email us the number of your set and it will be shipped. 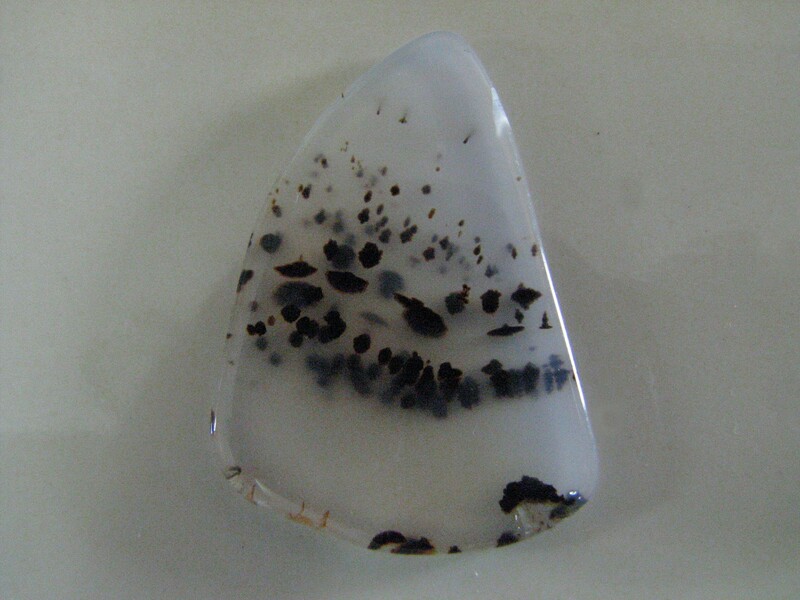 This Montana Agate Designer Cabochon is clear with a cute tree-like structure. 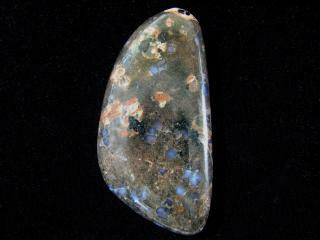 It was found in the Yellowstone River and measures 3 x 18 x 34 mm. Found in the Yellowstone River, this Montana Agate Designer Cabochon is clear and delicate. Measurements are 3 x 20 x 33 mm. 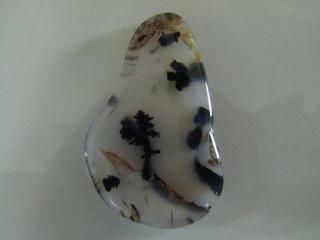 This beautiful dendritic Montana Agate Designer Cabochon is from the Yellowstone River. It features banding and black dendritic inclusions embedded in clear chalcedony. The piece is clear except for dendrites and bands and is polished on all sides. Measurements are 4mm x 22mm x 33 mm.